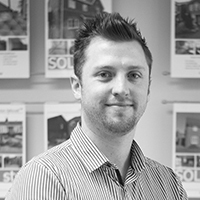 Tom joined the Swadlincote office in 2010, after completing his degree at De Montfort University. He has recently begun to value sale properties, combining this with negotiating sales and looking after corporate sales. Tom is a keen swimmer and enjoys watching films and getting involved in amateur dramatics.